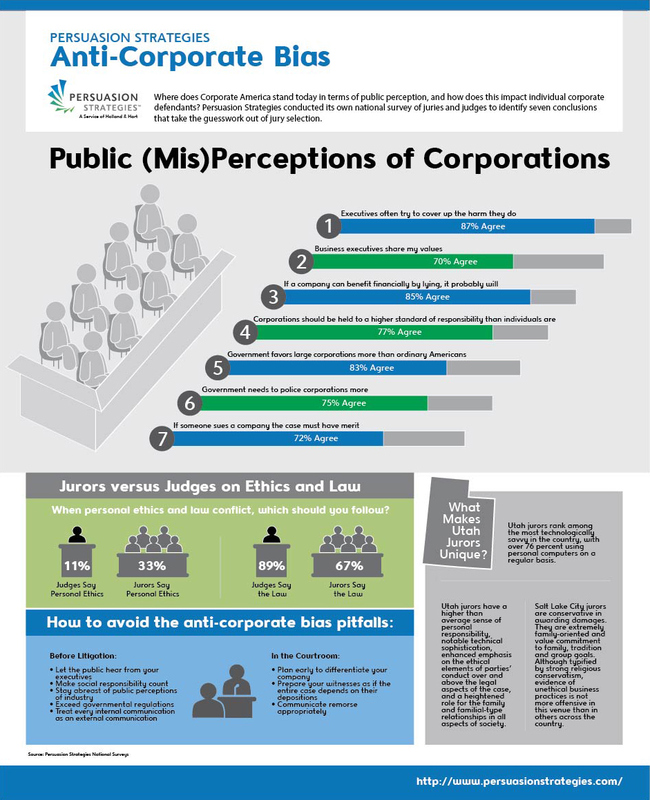 Infographic created to depict seven areas of public misconceptions of corporations to show jury bias. Two infographics were created for Persuasion Strategies, an integrated team of nationally recognized litigation consultants and legal graphics and video professionals. This graphic represents public perception, and its impact on individual corporate defendants using content from their own national survey of juries and judges to identify seven conclusions.